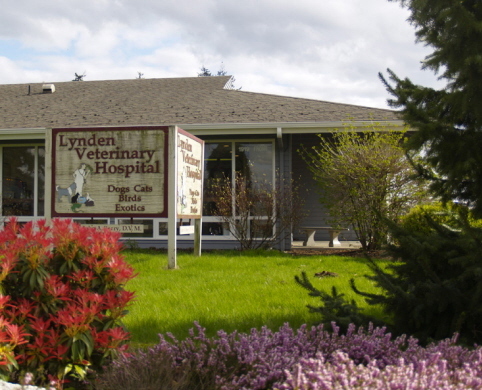 Lynden Veterinary Hospital is located in Lynden, Washington, in the heart of a Dutch farming community. Our building was previously occupied by another hospital when it was sold to Dr. John Berry in October 1992. 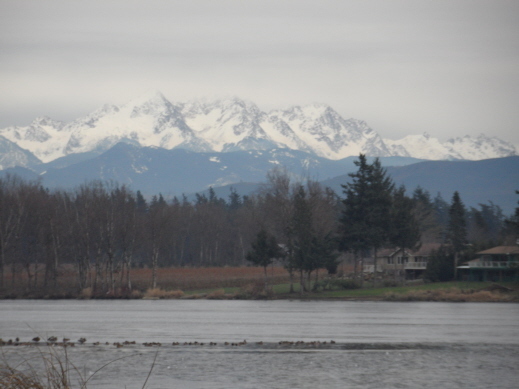 Dr. Berry was captivated by the beauty of Lynden when he first visited the hospital. Motivated by the scenery and his sisters living in Bellingham, Dr. Berry moved to Washington and opened the doors of Lynden Veterinary Hospital November 15, 1992. Upon you arrival you will check in at the front desk. 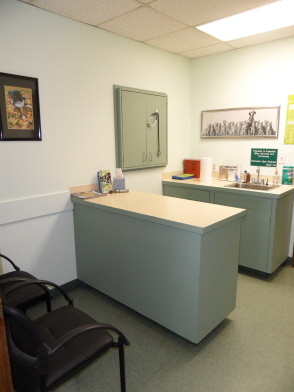 To the right of the desk is a few over-the-counter products as well as prescription diets for your dog or cat. 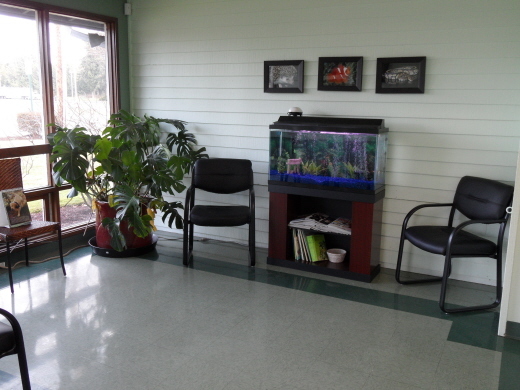 The peaceful sounds from the fish tank relaxes you and your pet during your waiting time. The fish are fun for the children and adults to find. 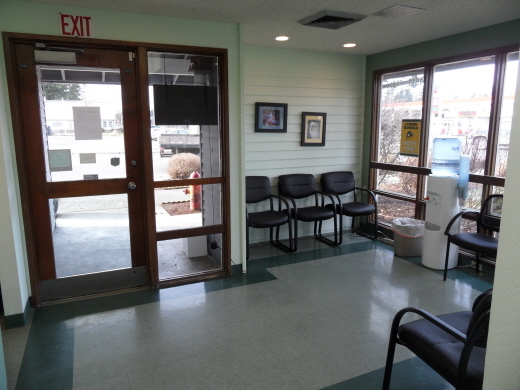 Our waiting area is clean and bright. Refreshments are available to our clients as they wait. View the photos of the types of patients we treat. A privacy wall helps keep the nervous pets secluded when active pets want to greet new friends. We have 3 examination rooms. They are spacious for the multi-pet visits. 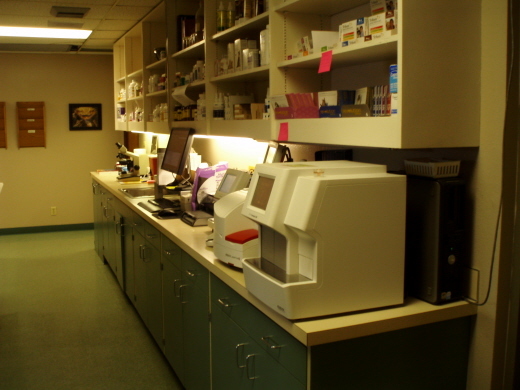 Our in-house laboratory allows us to obtain rapid accurate test results. Thus, allowing us to treat your pet more efficiently. We have a small pharmacy for patients requiring medications. For convenience, we have an online store. You can now order refill prescriptions and foods online and have them delivered right to your front door. 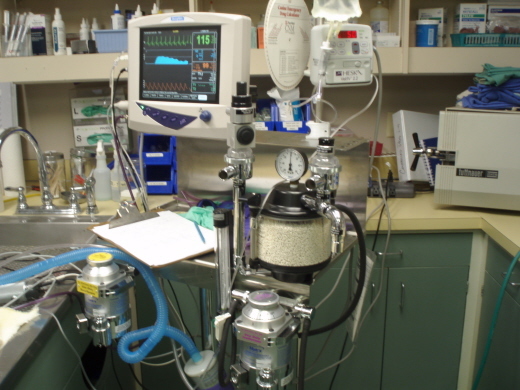 Based on your pet's overall health, we can customize the general anesthesia. We have the capability to use Isoflurane or Sevoflurane. When a pet receives general anesthesia we designate a member of our staff to closely monitor their vital signs. To aid the staff in this monitoring, we have a machine that allows us to view the electrical activity of the heart, Heart Rate, Blood Pressure, Carbon Dioxide, Oxygen Saturation, Respiratory Rate and Body Temperature. Based on these results and physical status will determine the amount of general anesthesia your pet will receive. 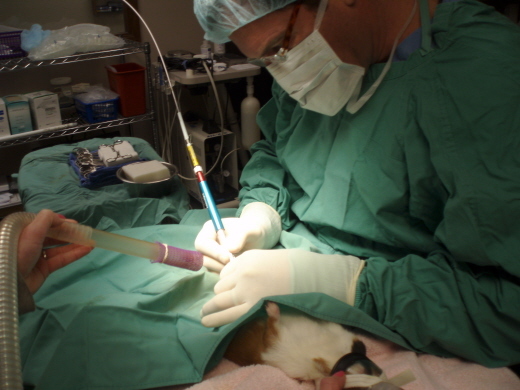 Every pet receiving general anesthesia has an intravenous catheter placed. 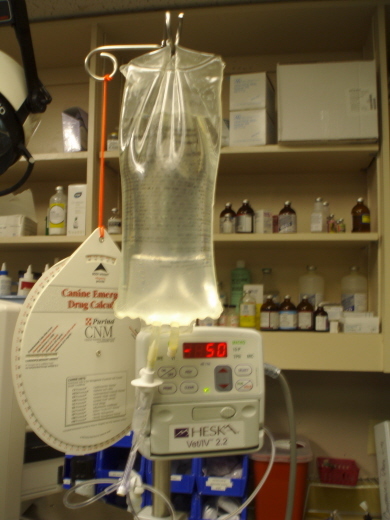 The IV catheter allows a port to administer emergency medications if needed. But more importantly it allows to administer supportive fluids during their procedure. This aids in the pets in maintaining your pets blood pressure at normal levels. It will allow a lower amount of the general anesthesia to be used resulting in a safer anesthetic procedure for your pet. Our surgery suite is a limited access area. We perform surgeries with individual sterile packs for each patient. A lower bacteria environment is healthier for your pet and their recovery. We have the opportunity to use the surgical laser in the majority of our surgeries. This means, it reduces the bleeding when an incision is made to reduce the amount of blood that is lost. It cauterizes the nerve endings so the procedure is less painful for your pet. The end result is a speedy recovery from surgery. The surgical laser produces a smoke when used that is suctioned away. 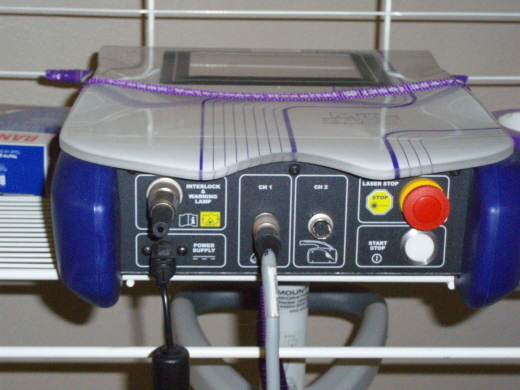 The surgical laser allows us to make incisions and cauterize at the same time. 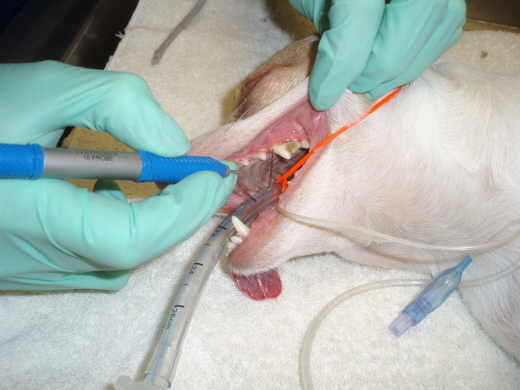 This reduces the amount of anesthesia time for your pet. The cold laser can be used for many things. 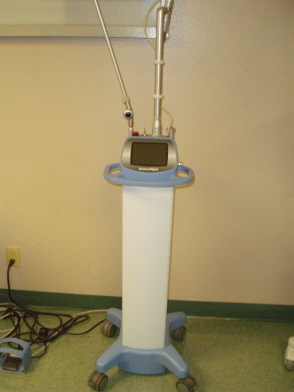 It is a low level laser used to aid in swelling, pain and contaminated wound healing. It helps arthritic patients with discomfort and increases mobility. 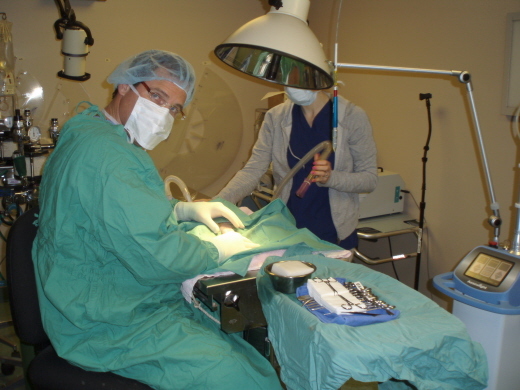 We use the cold laser after surgery on the spay and neuter patients to aid in swelling and discomfort. It is proven to speed the healing process in these pets. 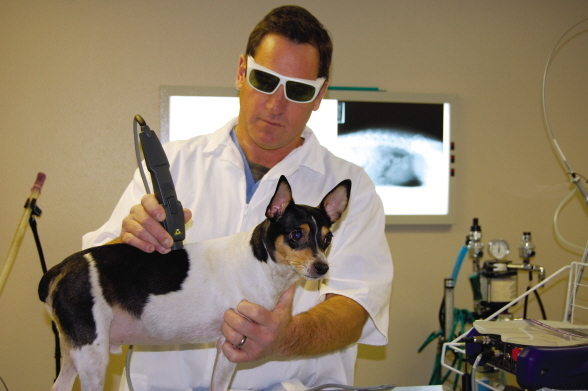 Dr. Berry is performing a Cold Laser Treatment for arthritis on our patient, Rascal Spoelstra. Dr. Berry is wearing protective eye wear to prevent any damage to his eyes if the laser beam should there be any reflections. 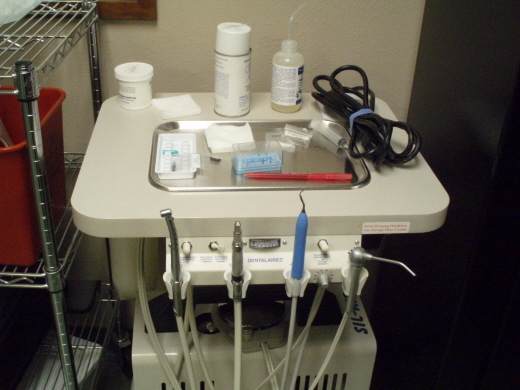 This dental machine allows the members of our staff to perform the different stages in dentistry. This unit has its own air-compressor. The pressured irrigation of the ultra-sonic scaler to the low-speed polisher is the used to achieve the basic level of dental care. The lite high-speed hand piece allows us to surgically cut the multi-rooted teeth on patients for lower impact extractions. For convenience, we use the pressured air/water irrigation piece to flush the excess debris from your pets mouth. Every patient requiring a dental procedure has a trachea tube placed so we control the airway and prevent debris from being inhaled. We pack the back of each patients throat, to prevent inhalation of excess tartar and debris. For the staffs safety, an oral rinse is used to reduce the bacteria in the pet's mouth. Each pet has the pocket depth around the teeth measured to determine the amount of bone loss, necessary extractions and areas requiring special attention. 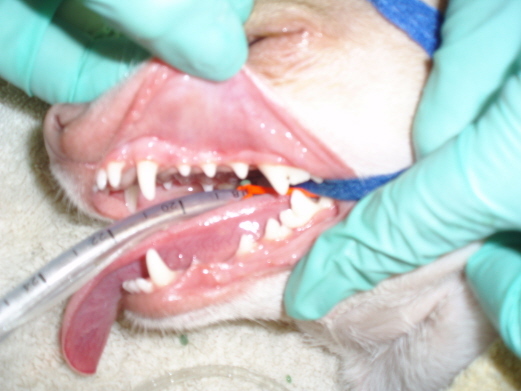 Pet's over the age of 3 years, 70% have some for of periodontal disease!!!!!! Hand scaling follows the ultrasonic scaling. Two polishes are used to remove some staining and smooth the surface of the teeth. Once the polishing is completed, we apply a sealant to the outsides of the teeth. When your pet is picked up later that afternoon, we discuss the findings in your pets mouth. You receive a chart of the teeth and areas that maybe of concern. We will create a home dental care plan to help you keep your pets mouth sparkling. 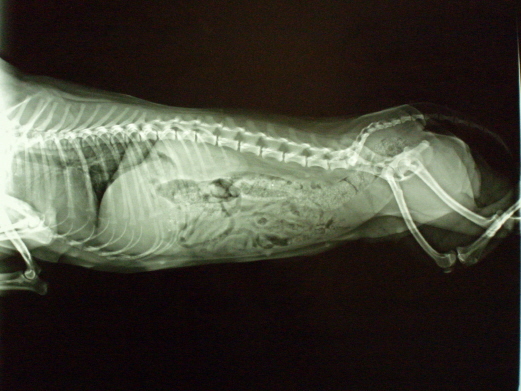 Our radiographs are digital and can be viewed almost instantly. Digital radiographs allows the contrast to be adjusted and to zoom in on an area of concern. It is less stress for your pet because of the lower quantity of retakes and development of films. We can email the radiographs to a radiologist for evaluation and the results could be back within hours. This an important for decisions concerning your pets health. Pets can stay with us for long visits. 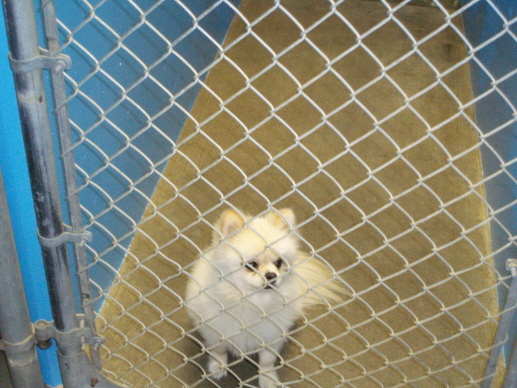 The kennel spaces are bright and clean. Every pet receives blankets, fresh food and water. They are taking outside multiple times a day to our fenced yard. Your pets will be loved by the attendants who devote their time to the well-being of your pet. 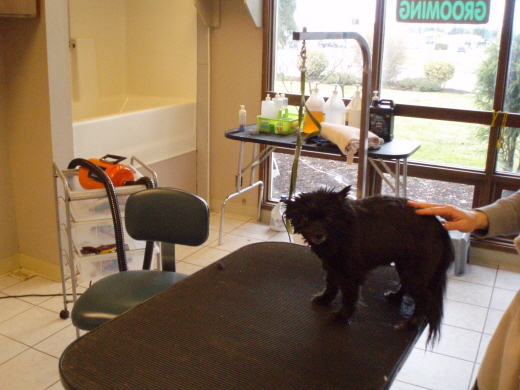 Lynden Veterinary Hospital has a specially designed area for grooming. One of the many beautiful sites in Washington. 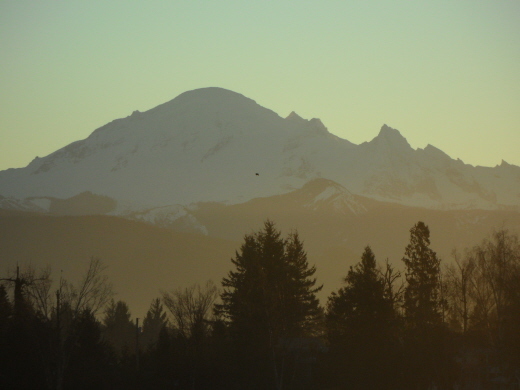 The sunrise and Mount Baker. The following slides of are some of the types of animals you may come across at Lynden Veterinary Hospital. 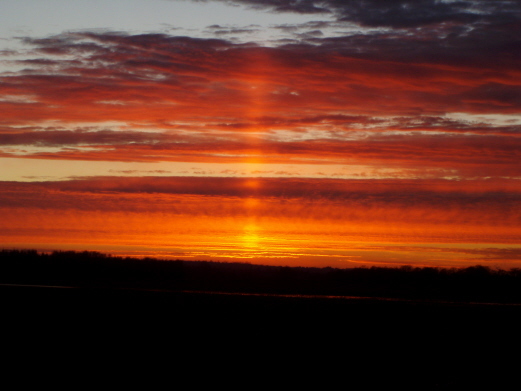 As you look upon the sunset in Lynden. 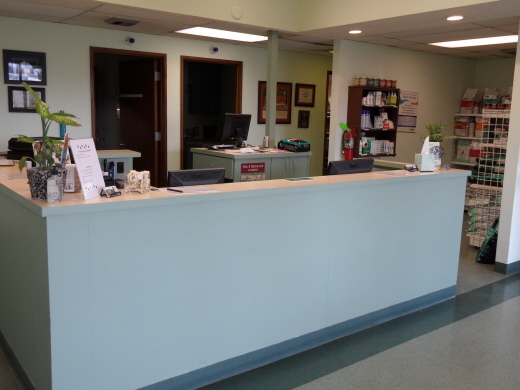 We hope you have enjoyed our tour of Lynden Veterinary Hospital and it's friends. Please stop by and visit us, you will never know what you might see.